Both sides in the battle over the song-swapping service Napster asked a federal appeals court to modify lower court rulings that have kept the company idle since July. One injunction, issued by U.S. District Judge Marilyn Hall Patel this summer, unfairly places the burden on the major record labels to constantly monitor Napster and complain every time two users swap a file in violation of the record company's copyrights, the attorney representing the recording industry said. Russell Frackman told a three-judge panel of the 9th U.S. Circuit Court of Appeals that Napster should bear the responsibility to police its own system. "Their obligation is to police to the fullest, not hide their heads," Frackman said. The major record labels sued Napster Inc. in 1999, claiming the service violates its copyrights by allowing users to trade unauthorized copies of songs. Napster shut down in July after Patel ordered that the service not operate until it could guarantee that it would filter out 100 percent of all copyright violations. Napster remains off-line to users while it works to unveil a new, subscription-based service. Patel has ruled that the record labels must not only provide a list of the names of protected songs for Napster to take off its system, but actual computer file names created by Napster users. Frackman said that ruling went too far. "It imposes on us an enormous, continuing and brand new burden," Frackman said. "We have to be on the system, find a person, locate the file, give notice and three days later Napster takes it down." Judge Robert Beezer challenged Frackman, saying that the song-by-song enforcement system gives the record companies a list of violations to present to a jury once the case goes to trial. "If they keep violating your stuff, keep telling them to get it off and then when you go to trial, there's your evidence," Beezer said. The record companies are seeking the maximum statutory damages of $100,000 for each work infringed and believe the total amount of damages will exceed $100 million. No trial date has been set. The attorney for Napster took issue with a number of Patel's actions, including her reliance on a technical consultant for advice. 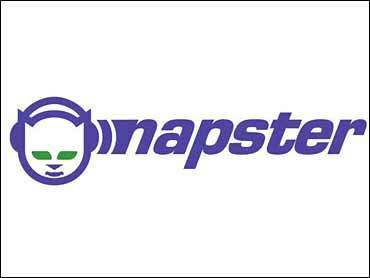 Lawrence Robbins told the appeals court that adopting a "zero tolerance policy," requiring Napster to filter out every possible copyright violation, did not reflect the limits of the technology in use and is a harsher standard than the law requires. "(Judge Patel said) 'You stay down until you can assure me that there will not appear anywhere on that system an infringing work,"' Robbins said. "That is not respecting the limitations of the architecture." "I respect the architecture, but I also respect the copyright law," Beezer said. Robbins also said the record labels should be required to provide specific computer file names so Napster can take the file off its system and, if necessary, bar the person who posted the file. Iis not known when the court will rule on the appeals.